They’re saying it deals with all of their day-to-day operations and handles scheduling, reporting and billing. You’re interested in what the software can offer but aren’t sure how it will benefit you. How Do I Know If I Need Practice Management Software? Ask yourself what implementing a PM system would mean for you. What problems do you want to solve with this system? Is it so you can streamline medical billing? 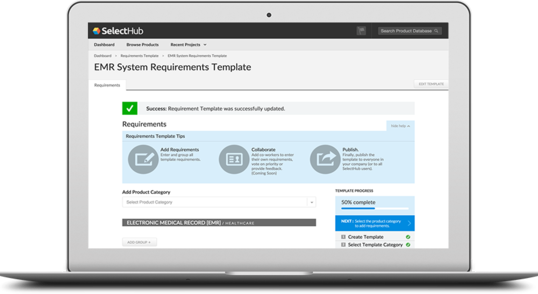 Do you need it to integrate easily with an existing EHR system? If you’re still not sure, don’t worry! The key thing to remember is that you can have something in place which boosts overall patient satisfaction and brings a higher level of simplicity into your office. Embracing practice management software can bolster your business and efficiently handle how you manage patient care. NextGen’s easy-to-integrate platform comes fully prepared to offer you in-depth practice management help. If you currently have an Electronic Health Records (EHR) system in place, it can sync up to it for a seamless integration. One feature that NextGen prides itself on is its Mobile Charting. It allows physicians to use their mobile devices on the go. They can view patient information quickly and it’s especially helpful for physicians who have multi-location offices. With a feature like this you can completely remove the need for paper records. You’ll not only free up those terrible filing cabinets, but patient information isn’t going to be hard to search for anymore. Why try to manage multiple channels of information, when you can have one system handle all your day-to-day operations? Centricity offers patients the ability to use an online patient portal. Patients can hop onto the portal to schedule appointments, check their clinical results and read important messages from their physician. Another unique functionality of the program is the A/R Accelerator. The Accelerator will streamline the patient intake process, claims management and appointment eligibility. Your staff can take payments in the office, or set up a payment schedule with your patients. Having the option to do it onsite eliminates uncollected payments altogether. This practice management software is more suited for smaller and independent practices. Its system is user-friendly and easy to navigate through so everyone will be able to quickly learn how use it. However, if you do end up having questions about the system, you can take advantage of the free support and training provided by their trusted specialists. You’ll find that billing patients and insurance claims in particular are extremely simple to automate. Users can avoid dealing with manual reminders and incorrectly charging patients after they are seen at your office. An award-winning and intuitive system, CureMD offers more than enough functionalities for its users. You can personalize your dashboard and create a more engaging experience. The program gives users control over denial and document management, point of sale, e-messaging and more. CureMD takes their platform to another level when it comes to managing inventory. Their platform efficiently helps practices manage, stock and sell medications, vaccines and more. Even multi-location practices benefit from this function. Offices will reduce unnecessary purchases by quickly transferring idle products from one place to the next with ease. It takes a lot to run your business. Which is why NueMD wants to handle the heavy lifting for you. Their PM software was built with both the patient and end user in mind to create harmonious interactions every time. You’ll enjoy how simple it is to update patient details in real-time, including their billing history. Utilize their robust reports and analysis overview to check on your fiscal standings. The data collected can be compared to past years as well and help you indicate where profits might have fallen or where you can restructure vital processes. Measure your success while also maximizing your revenue with AdvancedMD. Through reporting and benchmarking tools, you’ll gain insight into making strategic decisions to improve your performance. The front office software options allow users to set-up appointment reminders, whether one time or recurring. The dashboard displays quick-look summaries which provide accessible patient content information. Your staff can take a peek at any additional notes to inform you before a patient comes in. Billing is a big, bad, bummer sometimes. It’s one of the main reasons practices begin looking for a PM software in the first place. The intuitive nature of this platform helps deliver results when dealing with patient fees and insurance claims. They offer billing services at 2.9 percent of monthly collected revenue rather than some of the higher fees which are more common among other billing software. Typically, software fees range between 5-12 percent which is at the highest end of the spectrum. In the end, it’s a great deal that can’t be ignored if you want ways to save a little more money. drChronoEHR is, as its name implies, more of an EHR system. However, it still performs with the same type of gusto as any other practice management software. It’s customizable clinical workflow allows users to uniquely experience dashboards which are set according to their preferences. Patient scheduling, billing and online patient portal features all help your staff save on time. This system lets you choose from four pricing plan levels. Each one offers more versatility and scalability than the last to meet your needs, no matter what size your company is. So, There Are A Lot Of PM Software Choices, Huh? Yes, there are! But don’t get too discouraged over choosing one or the other. Try to list your top three pain points your practice or practices are facing now to help you start your decision making. After you can identify those pain points it’s time to determine which one you’ll be getting for your practice. Like buying a car, you want to go in already knowing which features are a must. You don’t have the opportunity to try again after you make the final sale, so having that as your backup for which software you pick will set you up for success.